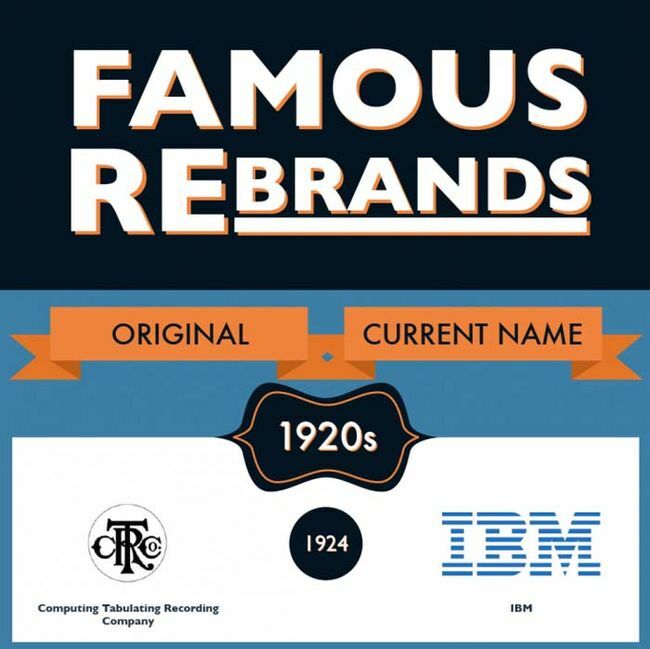 Everything changes over time, even your favorite brands. You've got to start somewhere but it's hard to believe that Google started out as a search engine called BackRub. We can see why that didn't take off. 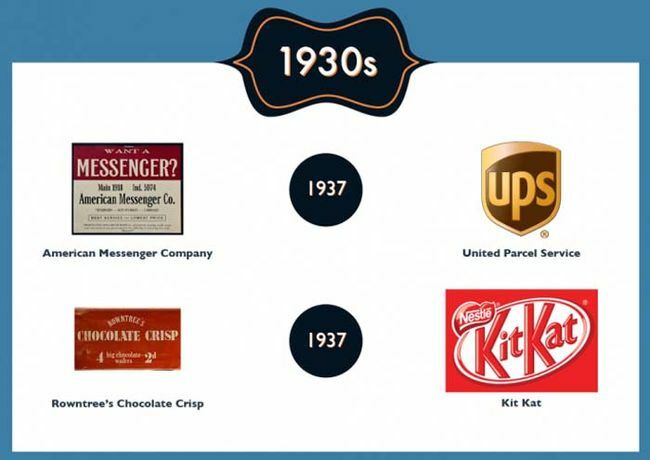 Some of these I remember far before the date and others are still called the same name.... Like Bounty? 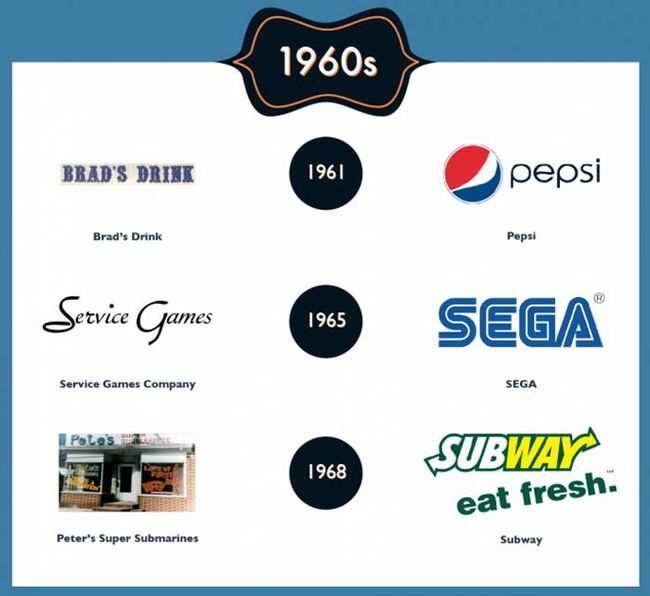 Pepsi has been around a lot longer than 1961. 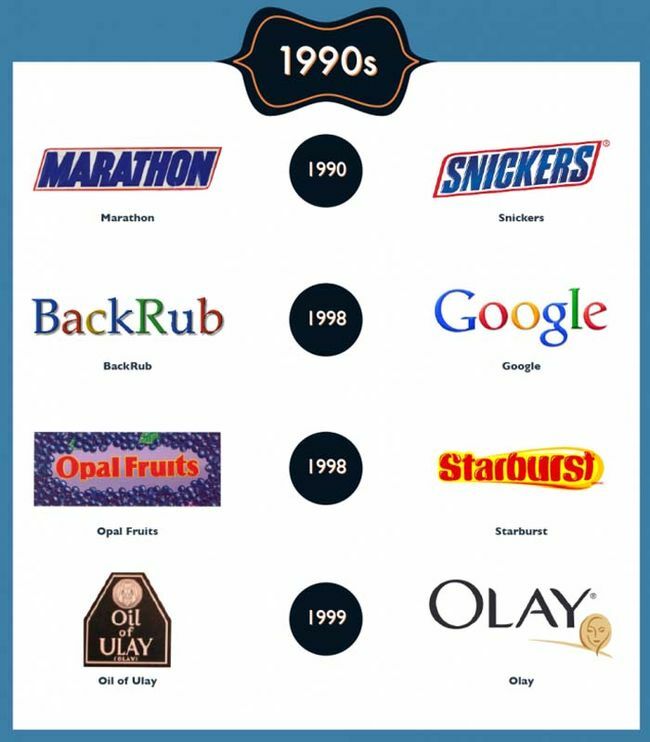 Snickers and Oil of Olay were around in the 1980's as well. I guess a lot can happen when companies get merged together and others get bought up. Brad's drink became Pepsi-Cola in 1898, it was shortened to just Pepsi in 1961. Bounty paper towels are still on shelves here in USA.